Figure prep and getting your body fat down low enough to compete can be quite a task the leaner you get. If you struggle with getting that body fat to move down more you might take these tips into consideration. These are some of the most common and fattening habits I’ve seen figure competitors struggle with. In today’s fast-paced world eating has become a part of socializing and a convenience commodity. In fact, so much food is readily at hand that most of the nation is overfed, yet undernourished. If you’ve ever dieted for fat loss or muscle gain, you know the dramatic impact food and nutrients have on the human body. 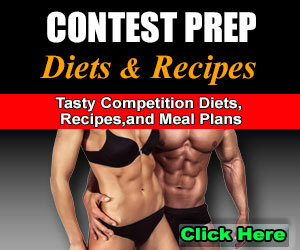 We’ll cover some figure prep do’s and don’ts so you hit your mark on contest day. Surf the Internet or grab the latest fitness magazine and you will be hit with a mass amount of information, often conflicting, about dietary guidelines on how to lose fat and be healthy. It’s kind of odd that with so much information available, so many people struggle with weight and dropping body fat. 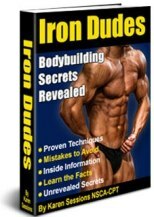 In the last several years fitness has become mainstream. It’s now cool to be fit. It’s the “in” thing. 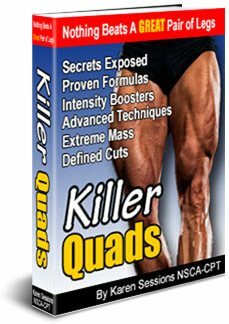 In fact, it’s such a hot market that trillions of dollars are spent every year on the newest DVD workout, home equipment, gym memberships, etc. I’m not saying these things don’t work, but you do have to use them to reap the benefits. If you really, and mean REALLY want to get that fat burned off your body, you really need to keep your figure prep diet in check. Let’s get to those fattening habits and talk about how to get them out of your life so you can get lean and stage ready. Toss the Colas, Pops, Sodas, etc. It’s common to grab a nice cold one when you are hot and thirsty. No doubt, a cold bubbling soda is a great way to quench your thirst. While it takes care of the thirst quenching job, keep in mind that it’s 100% completely void of nutrients. This means your body can’t benefit from it in ANY way. Food and water is to provide your body with nutrition for fuel and building purposes, especially during figure prep. Water is the essential ingredient of life. Colas are LOADED with carbonation which will bloat you, sugar that will make you fat, or aspartame that will put weight on your hips, make you hypoglycemic, and make you crave more sugary things. Let’s nag on sugar some more. Sugar interferes with the absorption of protein, calcium, and magnesium. It also contributes to tooth decay, which doesn’t look good on stage, a well as osteoporosis, (don’t trip and break a leg in those figure heels) and it causes water retention. Do I need to go on? Diet coals aren’t any better for you just because they read “diet” on the label. As stated, they cause some metabolic problems. 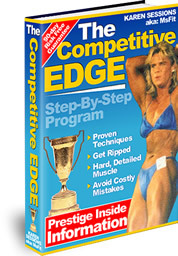 The bigger problem is that a lot of health and fitness “experts” suggest diet colas in figure prep programs. No, one or two diet colas a week isn’t going to hurt you, but far too many athletes are relaying on 2-3 or more a day! There is nothing in diet drinks that promote fat loss or muscle gain, or even health for that matter. Diet drinks can cause to you gain body fat in your figure prep program. Yes, I said gain it. You see, the “great” chemical aspartame causes an insulin reaction in the body. It’s not from the carbs because diet drinks don’t have carbs. The insulin spike is a response to the sweetness of the aspartame. The sweet taste sets off a chemical reaction in your body, just as it does when you eat carbs. The constant high insulin causes fat gain. I remember back when the low-fat era hit back in the late 1980s. That’s when I got into fitness. I was so skilled at the fat gram game; so skilled that I had my fat grams down to 7 a day! Not good, and not healthy. 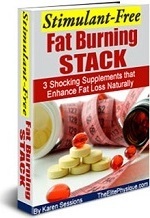 In fact, it was a fattening habit because you NEED essential fats to lose fat and even build hormones. Thank goodness I kept in the game and advanced my research and knowledge. When the low-fat era hit the population’s fat intake took a dramatic drop. Whole eggs were given up for egg whites and Egg Beaters and red meat sales went on the decline and people chose turkey and chicken instead. After all the so-called healthy changes, the nation got fatter, and ended up undernourished. The thing is, your body NEEDS fat to function. Essential fat is critical for fat loss, hormone production, your metabolism, brain function, and for the absorption and transportation of vitamins and minerals. I mean, it’s a macro-nutrient. Nutrient – A substance that provides nourishment essential for growth and the maintenance of life. I hate to burst your bubble, but there is no such thing as a healthy pre-packaged meal. Prepackaged meals and other food-like items are loaded with more chemicals and toxins than nutrients. Since your body can’t use chemicals and toxins it just stores them in your fat cells, making you fat and toxic. When enough get trapped in your cells and fat stores you can become ill, get diseases, and get cellulite. Just for kicks, I went to the grocery store and read the side of a boxed food item that had the appearance of being healthy to the average person. The food-like item was Morning Star Veggie Bites. Sounds good, huh? Upon reading the label I counted over 40 different ingredients. On top of that, some of those ingredients were broken down even more! What I want you to realize here is that it wasn’t 40 nutrients for energy and building purposes. They were 40 chemicals. Even the spinach was genetically modified. Your body has to be able to use what you give it if you want your body to release fat to burn it and build muscle. The bottom line is that your body simply needs to be able to process what goes in it. Chemicals cannot be processed by your body. To get a jump start on fat loss and figure prep, toss the soda pop to the side, diet colas as well and stat drinking water, up to a gallon a day to flush the toxins out. Eat natural fat, its essential! 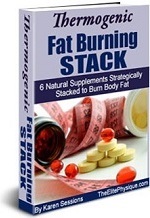 Your body needs it to function and to lose body fat. Stop eating processed food. If the box reads “healthy,” “low-fat,” “low-sugar,” etc. don’t eat it. Eat the food Mother Nature provided. It will get you to your goal and keep you healthy. 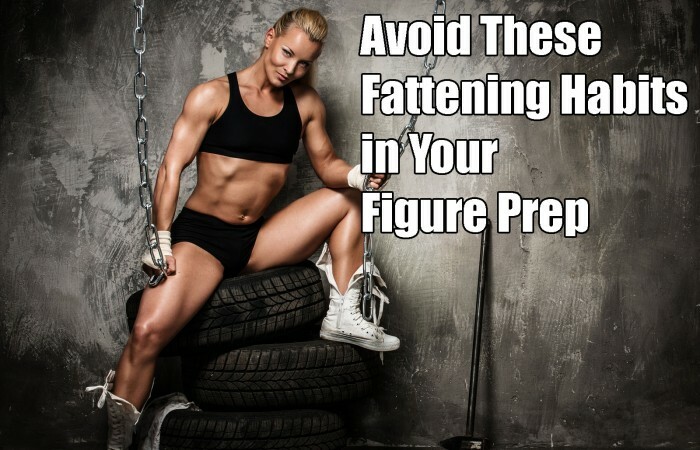 If you are serious about figure prep, losing fat, transforming your body, and even competing in a physique show on stage, you need to avoid the aboved mentioned fattening habits, and check out Figure Competition Secrets. It's the step-by-step guide you need to make a total body transformation.